Montana is home to a rich and varied terrain. From the Rocky Mountains to the Glacier National Park and then the Great Plains, this state is still something of a wilderness. Particularly in the west of the region, there are vast parklands to roam and explore. Perhaps you are looking at Montana as a place to live for its proximity to the wildlife preserves and snowcapped mountains, or maybe on a more practical level, thinking about job opportunities and house prices. Either way, Montana is a happy and enjoyable place to live. 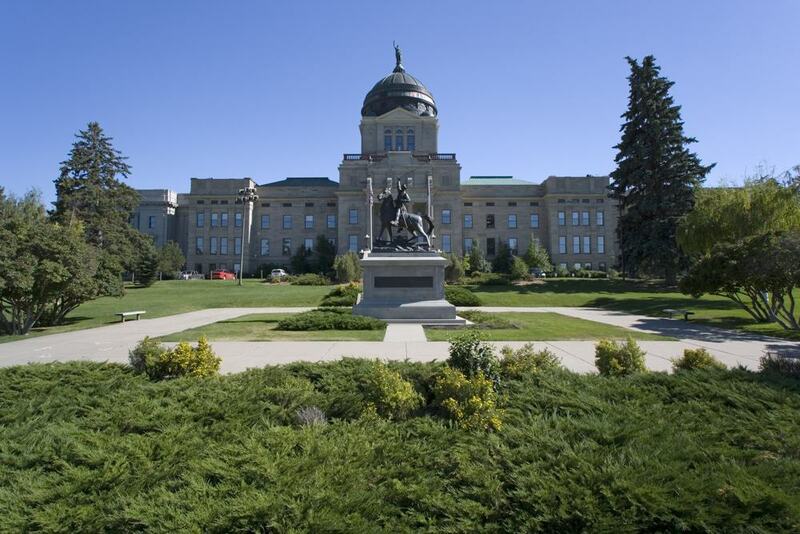 Home to just over 1 million people, Montana is sparsely populated, due to its large size. Inner city areas like the state capital of Helena give you a taste of metropolitan living while, at the same time, give you great access to the great outdoors. We have created our list of 15 best places to live in Montana by looking at crime statistics, the standard of public schools and overall cost of living. On top of that, we have taken into consideration the opinions of the people who live in each community to give you the most authentic and rounded opinion of each neighbourhood on the list. Straight in at first place is the gorgeous Bozeman. 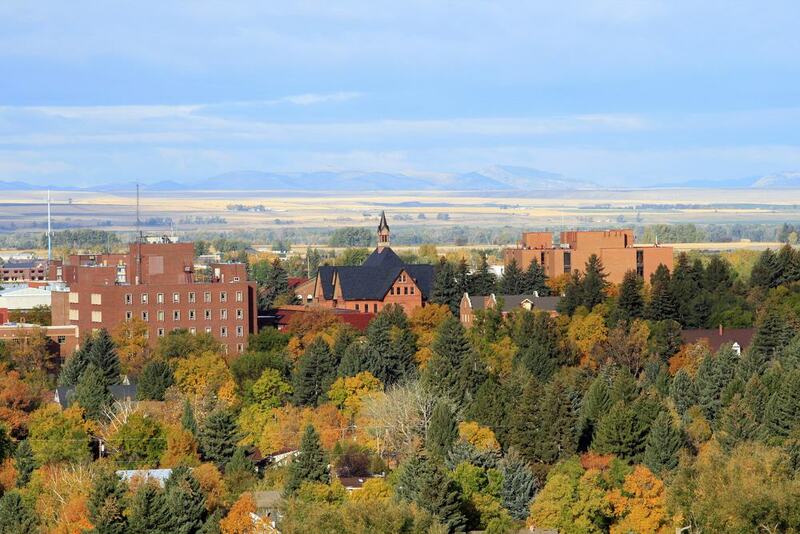 Home to 40,319 people, it is worth remembering that Bozeman is, in fact, a city; this is easy to forget for your eye is immediately drawn to the beautiful mountainous backdrop provided by the Rockies. 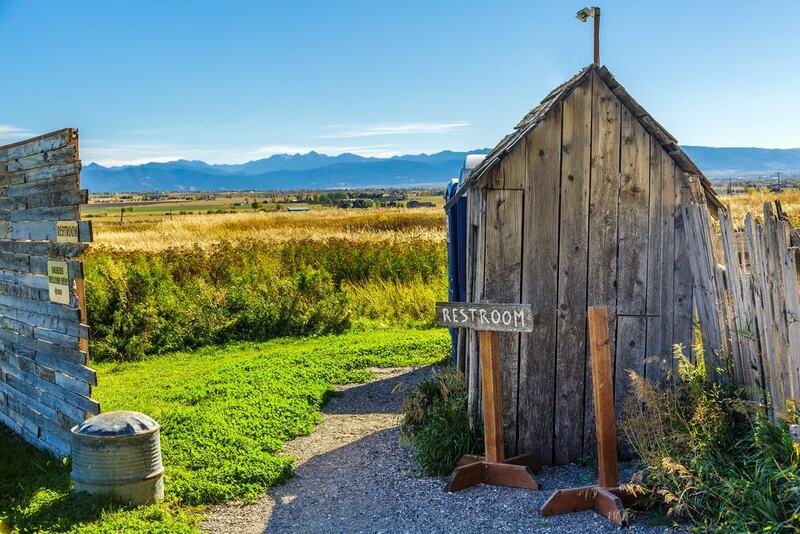 Bozeman offers its residents access to some top-grade schools and natural outdoor activities too, making the city one of the best places to raise a family in the state. Cost of living here is a little dearer than you would want, ideally, but taking into consideration the local amenities, health facilitates and local economy, it is understandable. An acceptable downside to accommodate. For those looking at commute-ability in a place to live then, Bozeman offers you great transport options. Transected by Route 90 and Highway 191, being at the very centre of Montana has its benefits. Small but perfectly formed in second place we find Four Corners. Again, this suburban neighbourhood is transected by Highway 191 providing residents with great commuting options. Four Corners is home to the best public schools in all of Montana, which unsurprisingly, leads on to the fact that Four Corners is considered to be the best place to raise a family in the state. Local businesses are the backbone of this small community of just over 3,000 people. This community ethos adopted by all who live here not only makes Four Corners a happy place to live but a safe place to live too. Proudly offering residents some of the lowest crime rates in Montana. Although median home value is steeper than the national average, the median rent is well below the national average at an affordable $836. Tucked down away in the south-west of Montana is the Park County city of Livingston. Situated on the Yellowstone River, it is only an hour by drive to Yellowstone National Park. Livingston is certainly worthy of being in the top three best places to live in Montana. A solid all-rounder, the city offers low crime rates, good schools, and quality housing. Add in plenty of nightlife opportunities and a fair cost of living, there is little to dislike about Livingston. The city is becoming more and more popular with Millennials, with house prices averaging $170,400. It is not hard to see why young people are adopting Livingston as their home for the foreseeable future. 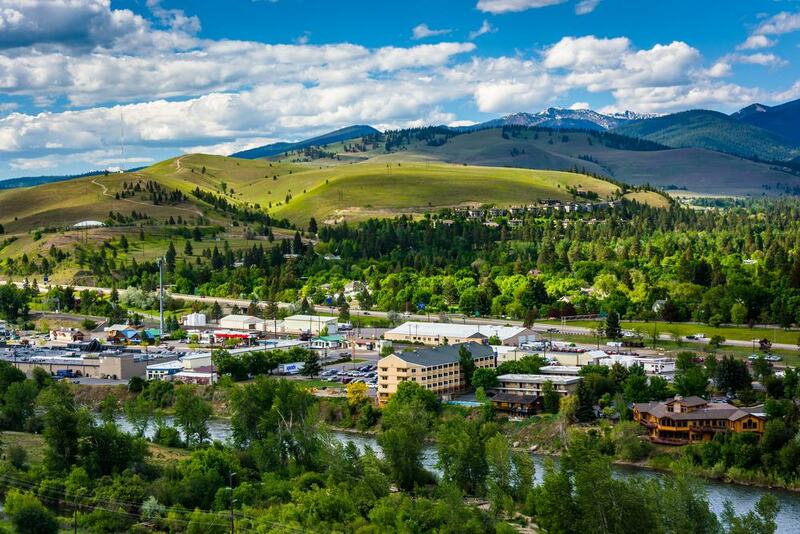 With median rent at $639, the city is a great place to buy some time while saving to get on the property ladder in Montana. 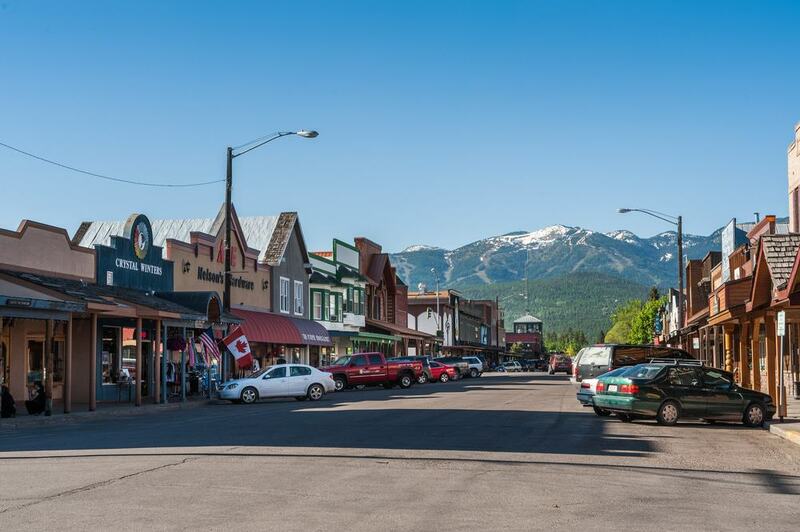 Although the population of 6,692 people is not that diverse by nationwide standards, the friendly and welcoming atmosphere of Whitefish pushes that statistic to the wayside. Being a popular holiday destination for many domestic travelers, there are plenty of jobs in Whitefish, particularly in hospitality and even more so in the high season. Panic not, Whitefish is seldom overrun with tourists, but by having that influx of people keeps the place fresh and means there is plenty going on of an evening. As the gateway to the Rocky Mountains, there are so many opportunities to get outdoors. With above average schools on offer in the town, Whitefish would be a great place to raise a family. There are certainly benefits to living in the state capital. 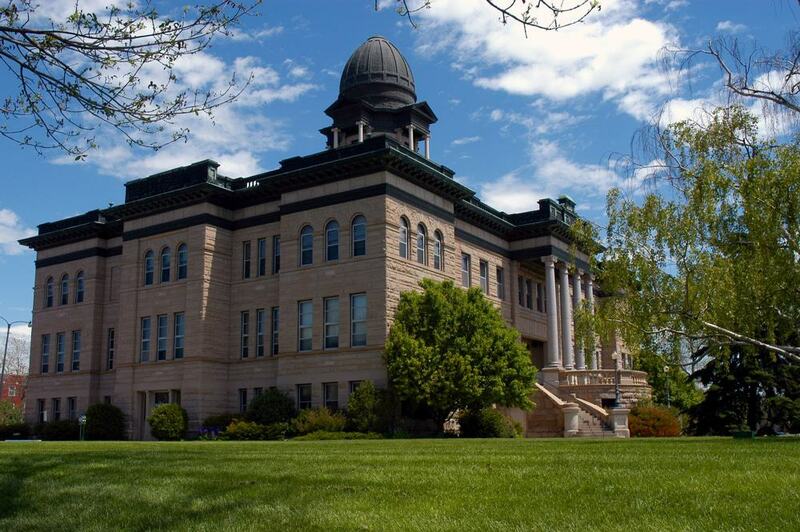 Helena is home to a resident population of 29,600 people. With this many people comes the suburban feel and all the amenities and facilities to match. House prices in Helena are very reasonable, despite being above the national average. For a little over $150,000, you could own a quaint, cosy and charming 2-bedroom home near Helena City Park. Residents say that Helena is a little behind the times which is both endearing and frustrating. Shopping facilities and infrastructure could do with a bit of attention but overall resident satisfaction is high. The City Hall building is very impressive and there is a lot of history to brush up on too! A stroll along Prickly Pear Creek is a pleasant pastime enjoyed by many locals. Dillion is one of the most affordable neighbourhoods in Montana. Home value is well below the national average, at $120,000. Although some properties on the market right now are what you would consider a ‘project’ and in need of a little TLC, for just $199,000 you can buy a pretty perfect 4-bedroom family home that you can just walk into and decorate to your taste. The resident population of 4,193 people are friendly and welcoming and very much a tight-knit community. This is reflected in the low crime rates and a number of families that choose to grow together here in Dillion. Arty, cultural, natural, Missoula has universal appeal. This city in the west of Montana is home to the Missoula Art Museum and the historic Fort Missoula built in 1877. 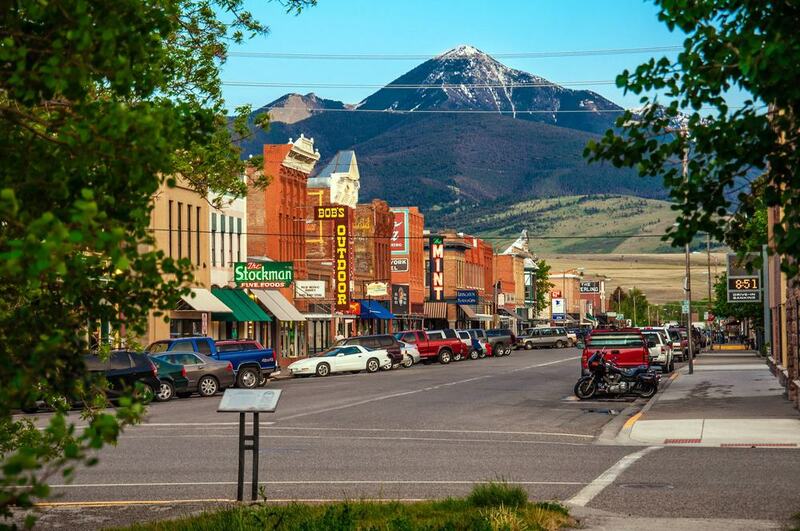 Although the residential area of the town has a suburban feel, you are only ever a few minutes drive from Montana’s spectacular landscapes, including Mt Jumbo. With good schools on offer from elementary level right up to high school, parents should seriously consider Missoula as a place to raise a family. The only reason Missoula narrowly misses out on the top five best places to live in Montana is due to less than ideal crime rates. Residents, however, are keen to assure people that they feel happy and safe living in this charming city. If you were starting to consider Helena as an option, then pause for thought on East Helena. If the inner city feel of Helena was a bit much for you then East Helena may provide the perfect balance. This neighbourhood is home to a much smaller population of just 2,306 people. Despite being within the city limits, East Helena has a village-like feel. This area is one of the safest places to live in the state and in turn, popular with a wide demographic; retirees, young families, and millennials too. With good schools, job opportunities and commuting options, there is little to find fault with in East Helena. 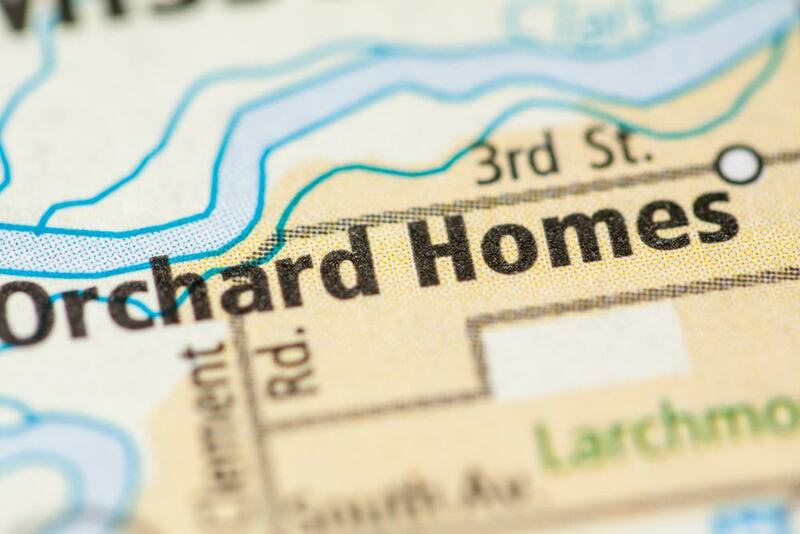 The endearingly named Orchard Homes is a suburb of Missoula. With 5,576 people living in the neighborhood, you have the best of both worlds. Access to the good schools and job opportunities of Missoula but also the more relaxed and small town-like feel too. Housing is an issue in Orchard Homes, with 60% of residents living in owned properties there are few affordable homes regularly coming on the market. Homes on the more affordable side of things are either small and pokey or require renovation and investment in improvements. Regardless, with some of the best public schools in the state, Orchard Homes is popular with young families, you may just be waiting a while to find the perfect home for you. For those who have to commute across the country for work, Lewistown should be high on your consideration list. Lewistown Airport flies to six cities across the country on a daily basis; Denver, Las Vegas, Minneapolis, Phoenix, Salt Lake City and to Seattle too. Despite the close proximity to the airport, Lewistown is calm and quiet. Home value here is staggeringly low and you get good value for money too. A 2-bedroom, 1-bathroom family home with offload parking and a manageable garden is just $79,900. Likewise, rental properties here in Lewiston are plentiful and affordable, $699 a month is the median rent in the town. Just like Livingston, Billings is too on the Yellowstone River flow. Tucked away in the south of the state, this city is hiker’s paradise. From sandstone cliffs to rough and rugged scrublands, there is so much to explore just outside Billings’ city limits. 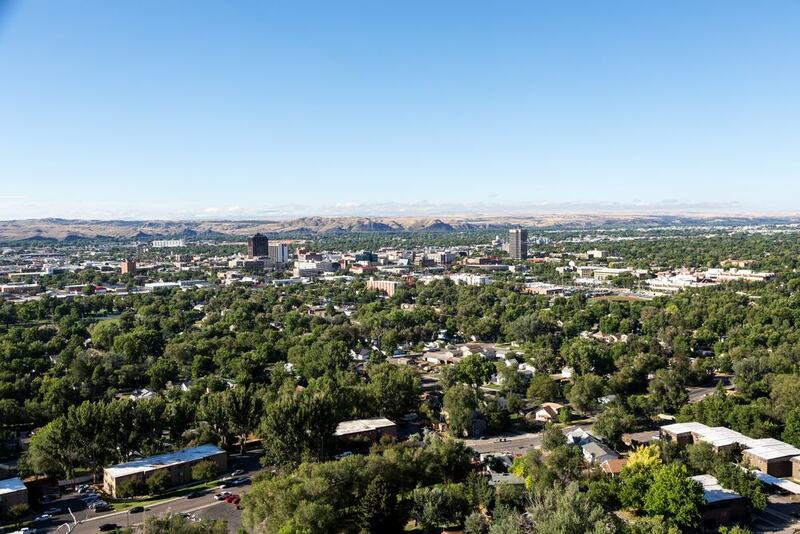 With a large population of 108,134 people, Billings is very much a city. For those looking for a bit more going on in terms of social life and entertainment facilities, then start thinking about Billings. Popular with retirees, Billings has a diverse demographic of inhabitants. The good schools attract young families, the job opportunities and easy commute options attract millennials and the pace of life, cost of living and proximity to the ‘wild’ attracts the older generations. 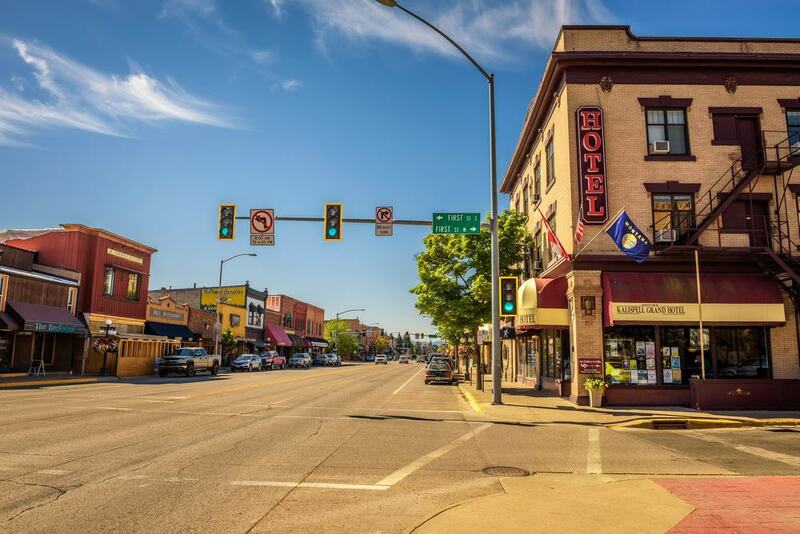 As the gateway to the spectacular Glacier National Park, Kalispell offers a great mix of city living and natural escapes. With alpine trials to explore, as well as grizzly bears to encounter, this is one of the most varied places to live in Montana. Cost of living in Kalispell is very reasonable but housing availability and quality is a bit of an issue. With only a handful of properties on the market at a time, you will need to strike while the iron is hot if you want to cost up in Kalispell. We can expect to see Kalispell featuring higher up on our list of best places to live in Montana in years to come, for it is becoming something of a hotspot for young millennials. Flying across the state daily, Glasgow Montana Airport delivers you safely to Billings in just over an hour. It is low house prices and monthly rent that is a key attracting factor for Glasgow. With median rent as low as $500 a month, you can see why Glasgow is a popular town with millennials. Then take into consideration that median home value is $134,400 and you’re onto a winner. Glasgow is ranked as the second safest place to live in Montana, it is only really the long distances you have to go to access Montana’s epic natural landscapes that is the downside to Glasgow. Belgrade is just 8-miles down the road from the number one best place to live in Montana, Bozeman. Living in Belgrade gives you access to all the wonderful things on offer in Bozeman but is more affordable, especially in terms of house prices. Rental properties average at $793 a month and median home value is $198,000. Think about it, $189,900 can get you a charming 3-bedroom family home just 8-miles away from the outstanding schools on offer in Bozeman. If you’re thinking a compromise is needed, then Belgrade is the place to consider. Last but by no means least we come to Great Falls. Home to 59,593 people with an Air Force Base next door, there is a big military community here, creating a wonderfully diverse group of residents. Local people note the access to hiking, biking and camping opportunities are key factors in their happiness here. What’s more, with plenty of locally owned restaurants in the city, there are lots of opportunities to socialise and get out and about. With the Paris Gibson Square Museum of Art right on your doorstep, there is a great deal to enjoy in this city. The 15th place ranking is largely due to crime levels but residents note that they seldom feel unsafe or threatened in their homes.